Every year there is a game at E3 that stands out from the crowd; a title that shows how games can transcend action and reach a point much more personal. 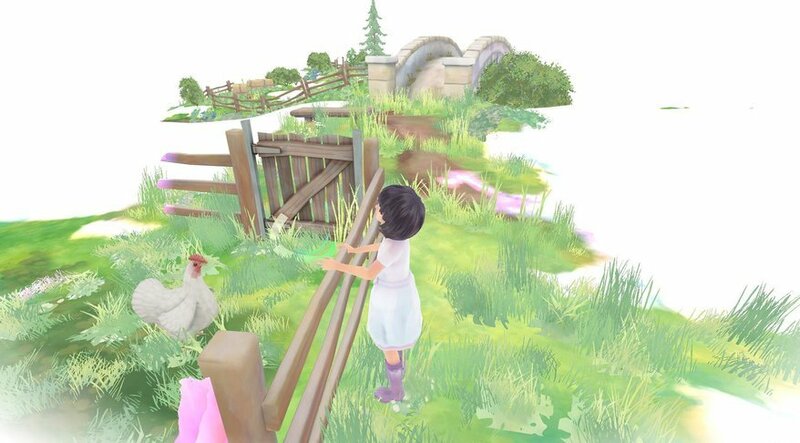 For 2015, that game, for me, was Beyond Eyes; a simple game being published by Team 17. 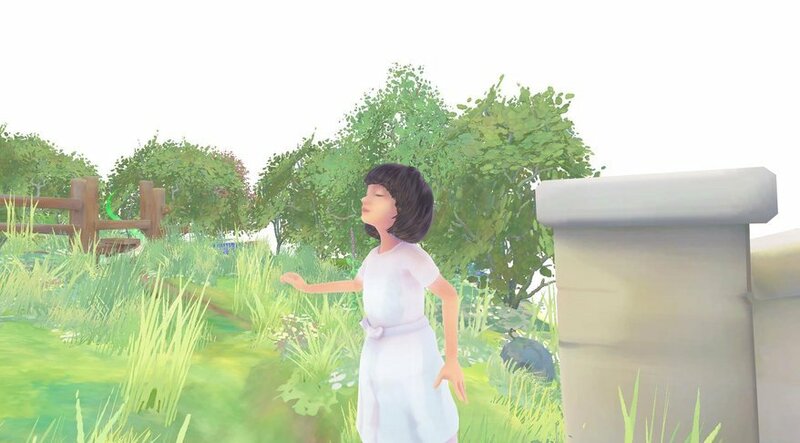 Beyond Eyes is a story of a young 10-year-old blind girl named Rae. After losing her sight in a fireworks accident as a toddler, she is now sheltered and afraid of the outside world. She does not venture far from her house, and knows little of what lies beyond her garden walls. When she is forced to find her missing cat Nani, she must explore and grow to understand what she has always feared: the outside world. In our modern world, we like to think we can sympathize with all struggles that others may endure, but in truth, we as people can only understand fractions of what causes others to suffer. 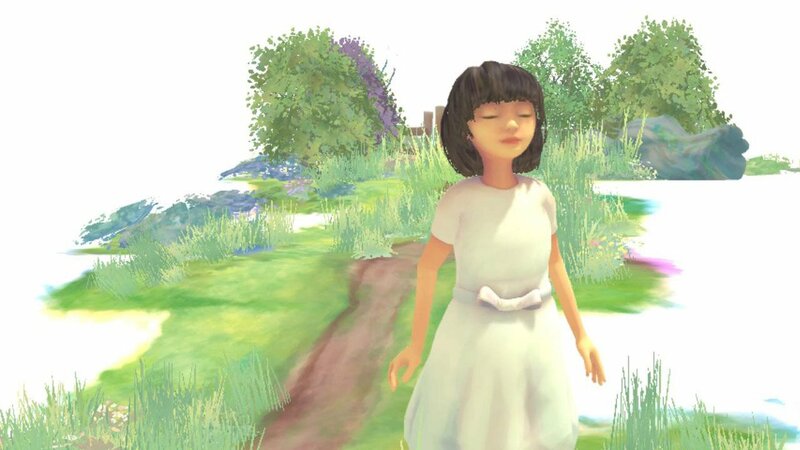 Beyond Eyes attempts to the best of its abilities to give perspective to what it is like being blind. Presented with a stark, white world, the only visuals that are visible are the direct area around Rae and any part of the landscape that emits or reflects sound. The world is a mystery for Rae to explore. As you walk around, the visual information is filled in, with the area you were just in fading back to white. Rae will also find that some aspects of the world are not as she thinks them to be. With only her limited understanding of the world based on her sheltered existence, some things are not as she perceives. The demo we played at E3 was but a small segment of the game. We started off just walking around as Rae frantically tried to find where her cat Nani went. It is only through exploration of the world via sounds that Rae can move forward. She will gather small hints of where her cat went and must track down these clues, and as she experiences the word, the way she reacts to it will also change. One example of this that I encountered as I walked through the world was when I heard some birds in the distance. When I approached this location, it was quickly apparent that these were not friendly, and the image of happy birds changed to that of crows squawking. This change visually represents the shift in Rae’s understanding of the world around her versus her perceived assumptions. She now knew to be fearful of that sort of sound and would act to avoid it in the future. Audio can also help you on your journey. As you walk, the sounds around you will help to fill in the landscape. The sound of water will paint the picture of a stream nearby, and the sound of a bell will give Rae the idea of a bell tower in the distance. These will help her along her path, along with guiding the player to where they need to direct her. The use of sound can also show danger, even if it’s unclear what that may be. Perhaps the most interesting use of this was when Rae comes to a road in the game. Represented by a dark fog with loud noises emanated from it, Rae is clearly frightened by this dark mass and will not go beyond it. The simple act of finding the cross button became a puzzle unto itself, and Rae could not venture forward on her quest without first overcoming this obstacle. With such a vast assortment of concepts shown in the short demo, I am excited to see what the full experience has in store. The game presents the world in a way that I would not think possible. It makes the everyday experiences we all go through seem unique, wondrous and horrifying. 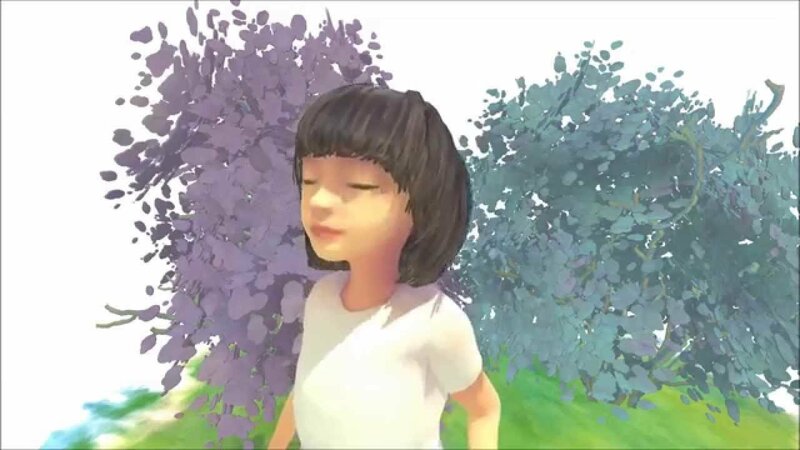 What would be a simple matter for any other title, Beyond Eyes has turned into an epic journey of discovery. One that I am excited to experience and played to its conclusion. 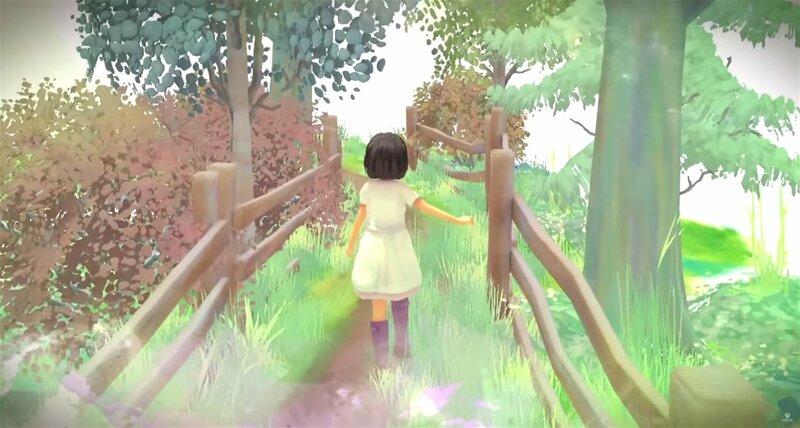 Beyond Eyes is a title that will carry you away and bring you into the headspace of a character in ways you have never before experienced; a place that is very hard to forget. It may not be for everyone, but Beyond Eyes is one title that players should experience at least once.